Ian Dickson runs the Alloa Pastoral Company at Milawa, in Northern Victoria’s King Valley. He grew up in the area and came home to farm full-time around 30 years ago. Ian runs approximately 1200 cows and calves and 2000 first-cross ewes as breeders. He employs five people to look after the cattle, and they feed out around 60 bales of hay each day. 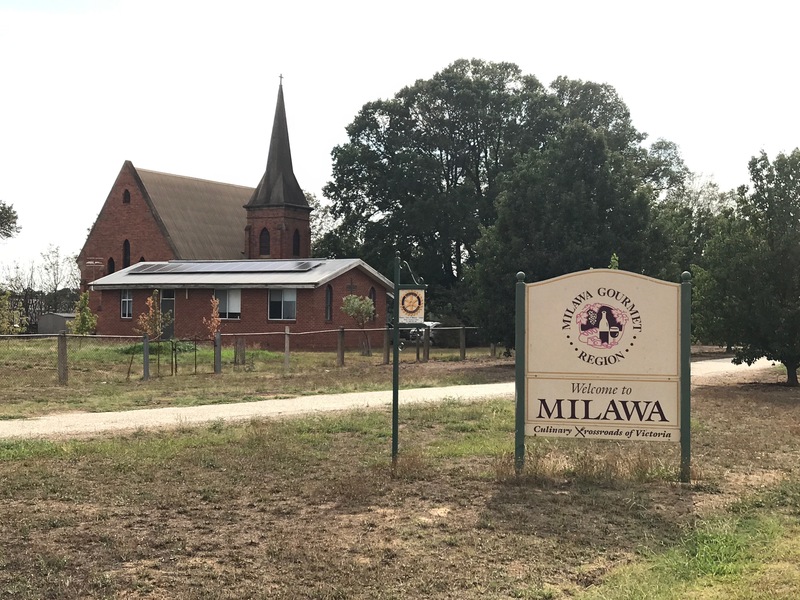 Like much of eastern Australia, Milawa is currently in drought. 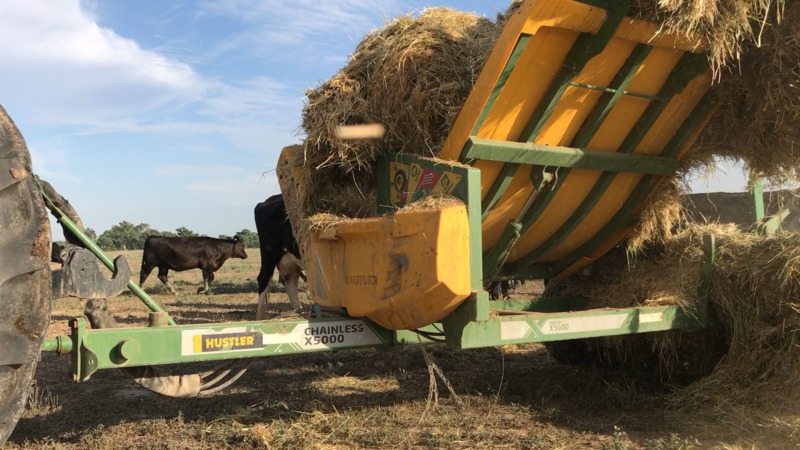 They have experienced below average rainfall over the past 12 months, and a particularly late autumn break, which has necessitated hand feeding throughout the year. 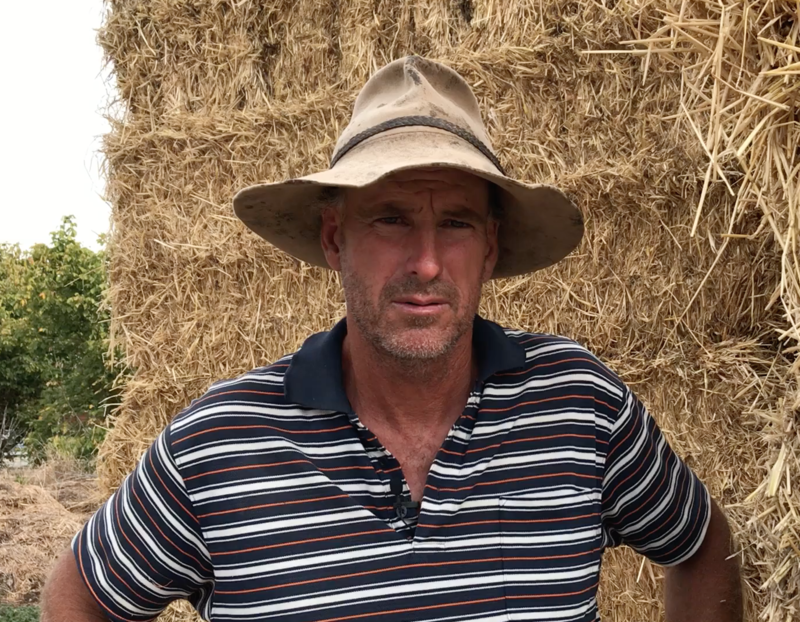 Ian’s two Hustler X5000 bale feeders have shaved thousands of hours off his feeding operations, and made the process safer and more streamlined. Ian credits Brendan Breen from McGregor Machinery with pointing him in the direction of the Hustler, specifically the X5000 Chainless. Ian was so pleased with the performance of the machine that three months later, he purchased another one for his property over the road. 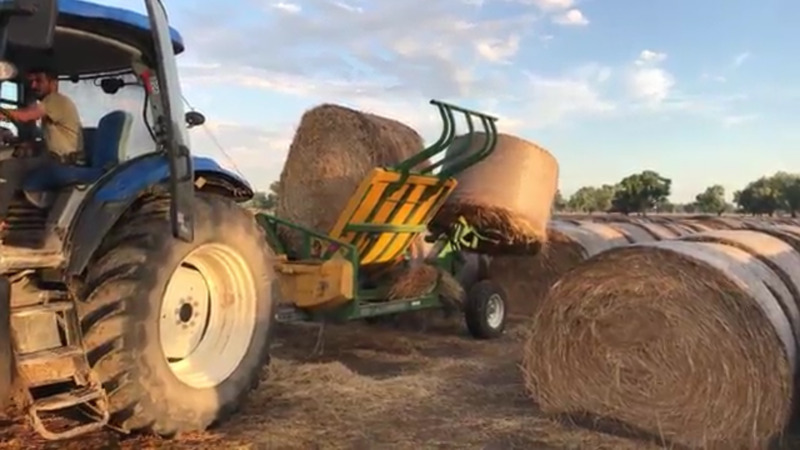 He says the benefit of the X5000 Hustler machine is the ability to cart one roll on the back of the machine, one roll in the machine, while the tractor can cart two bales on the front. It’s been three trouble-free years since Ian purchased his X5000 machines and in that time, each machine has fed out around 7000 bales.